Of all botanical oils, olive oil is the most ubiquitous in the diet and health literature. Its medicinal uses began with Hippocrates, who used olive oil for skin conditions and as a base for ointments of all kinds. The olive tree holds a deeply revered place in history. In Greek mythology, Zeus promised Attica to the god or goddess who brought the Greek people the more useful invention. Poseidon’s gift, alternately described as the horse or salt water, was rejected in favor of Athena’s gift of the olive tree. The city was renamed Athens and the olive tree assumed a place of prominence in the city’s food, medicine and material production. The award for winning the early Olympic competitions, which were held in Athens, was not a medal, but an olive branch twisted into a crown. The olive tree and the oil of olives are mentioned throughout the Bible. In the story of Noah and the great flood, the dove returns to the Ark carrying an olive branch, and the oils used to anoint and heal individuals throughout the Bible are made from olives. It was Franciscan missionaries who brought the olive tree to California. The hearty olive groves survived where the Mission San Fernando fell to ruins. They remain largely in Northern California where the cost of land is lower and they are not run out by the more profitable grape crops or housing. The olive, like the peach and almond, is a drupe - a fruit surrounding wrapped in a skin and containing a hard seed. The popularity of the olive, whose botanical name is Olea Europa, has inspired hundreds of varietals. Various types are cross bred to accommodate growing season and climate as they are for most fruit, but olives inspire refinement as a delicacy, much as grapes are cultivated for wine varieties. Plants are selected by the polyphenol and aromatic compound content. These traits, along with the degree of maturity at which the olives are picked, are the main determinants of the oil’s flavor, stability and yield. Olive oil is the backbone of the well-researched Mediterranean diet. All of its calories come from its beneficial fats, including omega 9s, omega 3 and primarily, omega 6s. Monounsaturated fats are the most beneficial to health, and of the dietary oils, olive oil is the richest source. Specifically, olive oil has up to 77% monounsaturated oleic and palmitoleic fatty acids, 14% saturated palmitic and stearic acids and 9% polyunsaturated linoleic and linolenic fatty acids. Linoleic acid, abundant in olive oil, is an omega-6 fatty acid. While omega-3 fatty acids, such as linolenic acid, are better known for their health benefits, the diet and health of skin and hair require a balance of omega-6 and omega-3 fatty acids. The American diet tends to contain a large amount of omega-6s, which can convert to the inflammatory arachidonic acid, especially when the source of them is meat. Plant sources of omega-6 fatty acids convert to gamma-linoleic acid, which is anti-inflammatory, before becoming arachidonic acid. The Mediterranean diet, which is well recognized as an effective means of combating heart disease, is rich in plant sources of omega-6s, including olive oil. In addition to fatty acids, olive oil contains the fat-soluble nutrients vitamin E, mostly as the potent antioxidant alpha-tocopherol, and vitamin K. Several minerals are found in olive oil as well, including calcium, iron, potassium and sodium, all in fairly small amounts. Not only does olive oil not contain any cholesterol it is a good source of plant sterols, which have been shown to decrease cholesterol. Better clinical studies are needed to determine whether the change in cholesterol that comes from consuming plant sterol-rich foods prevent deaths from heart disease, but it has been shown that a diet rich in phytosterols improves LDL, the type of cholesterol identified as a risk factor for heart disease. Most modern processes for collecting olive oil use centrifuges. The first spin in the centrifuge removes the oil from the wet paste of malaxed olives. The second centrifugation is done at a higher speed and it removes water and other solids from the oil. The oil is then left to sit and allow gravity to remove remaining impurities. A final filtration step may be used in creating the finished oil. Oils that are filtered are usually filtered either through fine paper or diatomaceous earth. Filtration does remove more of the sediment that might accumulate in the bottle, but it also removes some beneficial phenolic compounds and shortens the oil’s shelf life. It is these nuances of preparation that create the varieties of olive oil on the shelf. Extra virgin olive oil, referred to as EVOO, is extracted via one cycle of cold pressing. True extra virgin olive oil will be labeled by the North American Olive Oil Association (NAOOA), an independent group that tests the quality of olive oils. Virgin olive oil is also from a first pressing, but it has a higher acidity. An EVOO has about 1% acidity, but a virgin olive oil may have up to 2%. Olive oil is the only plant oil that can be used and consumed raw and untreated. Its use as a medicine was first noted by Hippocrates and is still vigorously explored in modern science. Olive oil is taken internally and applied topically. Being a Western herb, it does not have a long history of traditional use in Ayurvedic or traditional Chinese medicine. Olive oil can be used in Ayurvedic massage, where it is considered a warming oil that will encourage the dosha Kapha, a constitution that is oily, cool, heavy, slow and smooth. In traditional Chinese medicine, the olive is considered a neutral food, and may be used to heal sore throats, treat laryngitis or combat dysentery. Olive oil is an important component of the Mediterranean diet, which is widely studied for its ability to reduce cardiac events and mortality from those cardiac events. Olive oil has been shown to reduce myocardial infarctions, strokes, high blood pressure and atrial fibrillation. It improves HDL - the “good cholesterol” - while decreasing LDL - the “bad cholesterol” - reducing the risk of atherosclerosis. Olive oil has been shown to reduce the risk of diabetes in elderly people who are at high risk for cardiovascular disease, and improve insulin sensitivity in middle aged people. It is also helpful for preventing metabolic syndrome and obesity. While the Mediterranean diet itself, which is rich in fruits and vegetables, low in meat intake and high in whole grains, is beneficial for these conditions, it is specifically the supplementation with additional polyphenol-rich extra virgin olive oil that confers these benefits. Olive oil has been used for constipation. A study showed olive oil to be an effective replacement for mineral oil in the treatment of constipation in patients undergoing hemodialysis. 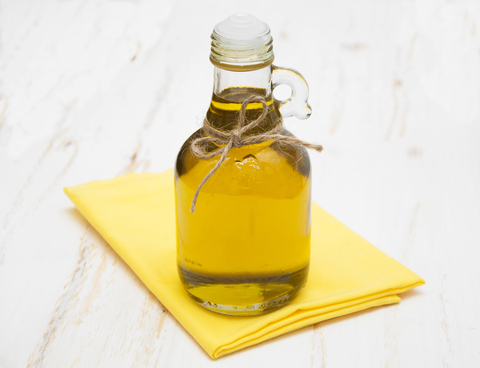 As interest and research into the microbiome and immune system of the GI tract expands, olive oil is being studied for its role in protecting the GI tract. It has been found to stimulate the local immune system of the gut  and support a beneficial shift towards healthy bacteria in the gut. Olive oil, when used in high doses to augment the Mediterranean diet, has been shown to prevent breast cancer. This is probably due to its vitamin E and polyphenol content. 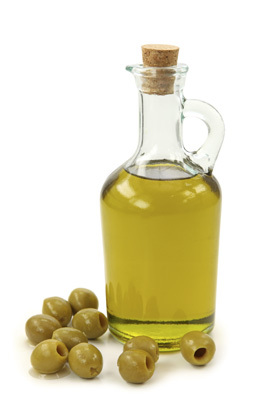 Olive oil is used to stimulate release of bile from the gall bladder in the popular protocol called the “Gall Bladder Flush.” This protocol is not recommended unless the presence of gall stones has been ruled out, as they may become lodged in the bile duct, causing a painful attack and risking the need for an emergency procedure. Olive oil has also been used as an analgesic, and as a topical agent to treat ear wax, tinnitus, wounds, psoriasis, burns and stretch marks. Olive leaf is a popular herbal anti-viral. What should I look for in an olive oil? Unrefined, extra virgin olive oil will contain the best profile of nutrients and fats. It may be darker in color and stronger in scent than a refined oil, but the overall scent and taste should still be fairly mild. There may be sediment that forms in the bottle. If I am allergic to olives can I use olive oil? Olive allergies are not common, but if you are allergic to olive, do not use olive oil topically or internally. Olive oil is made from whole olives. Is it safe to give olive oil to kids? Olive oil does not tend to be allergenic and can safely be added to children’s diet or used topically. If your child does have an allergy to olives, do not use olive oil with your child. Ask your doctor about testing for olive allergies. Can I cook with olive oil? Absolutely, and many people do. Extra virgin olive oils smoke at fairly low temperatures, so they are best used for cold dishes or recipes prepared with little heat. Virgin olive oil is good for lower temperature cooking, but is more stable against heat than an EVOO. The healthy phenols of olive oil break down under heat, so for health benefits they are best used in salad dressings or recipes that are not prepared with heat. How long is the shelf life of olive oil? Kept under proper storage conditions, olive oil will last up to two years. The high vitamin E content of olive oil actually works to protect it from the oxidative stress that forms as oil begins to go rancid, extending its shelf life. Olive oil should be kept in cool conditions, as it will break down at higher temperatures. It has been suggested that oils that solidify when left in the refrigerator are good quality. This test is really measuring the content of saturated fat in the oil, since all saturated fats will solidify as they cool. 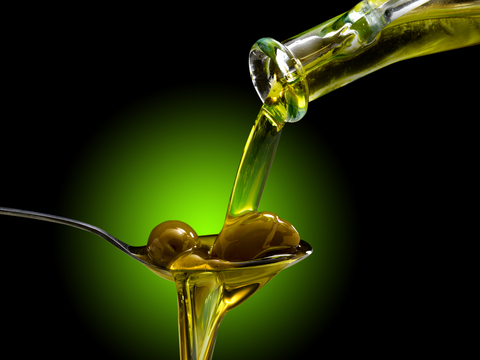 The amount of saturated fat is the result of the type of olive used, not the oil’s freshness. Will I gain weight from the calories in olive oil? Most studies show that weight loss is the result of more olive and olive oils in the diet. As a nutrient-dense food, it can help you feel full sooner, replacing higher carbohydrate foods that are lower in nutrients overall. Extra-virgin olive oil is frequently found to be fraudulently prepared. It may be adulterated with less expensive, more allergenic oils, such as soybean, corn or nut oils. If you have food allergies to any of these common additives, buy olive oil locally from a trusted source that can identify the grower and guarantee the purity. Nutr. 2016 146: 4 767-777; first published online March 9, 2016.